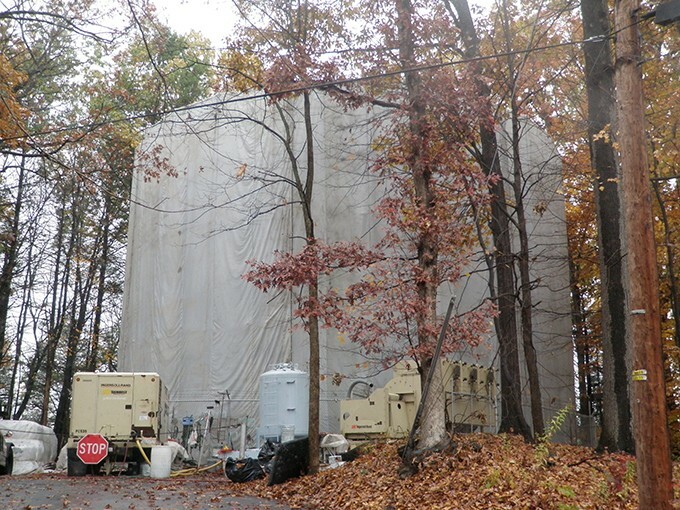 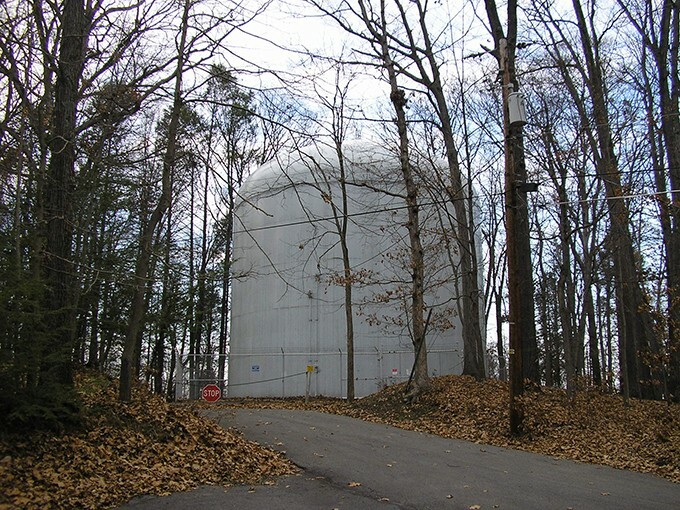 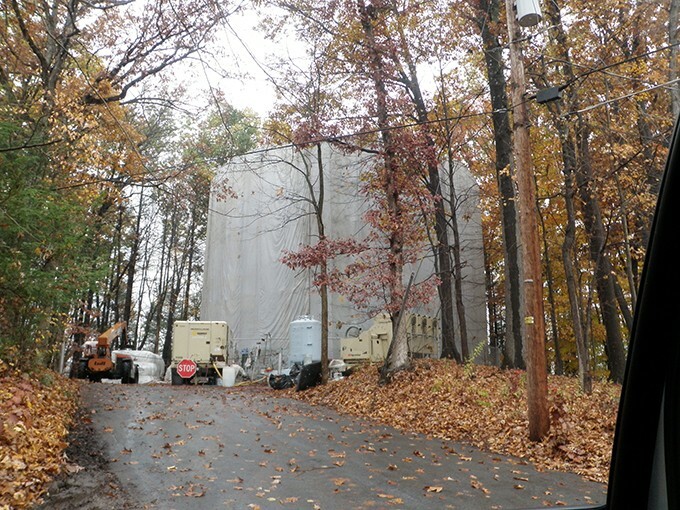 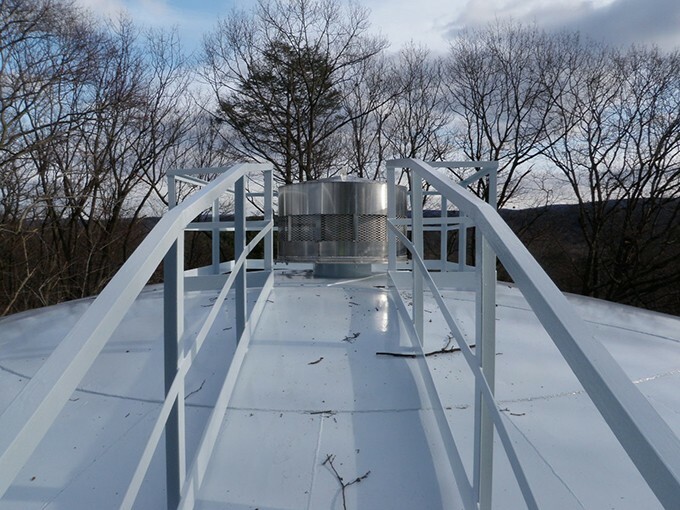 Work included surface preparation and painting of the interior and exterior of a 650, 000 gallon water storage tank, including the ladders, piping, cat walk, etc., located at the end of Dreher Avenue in Monroe County, PA. 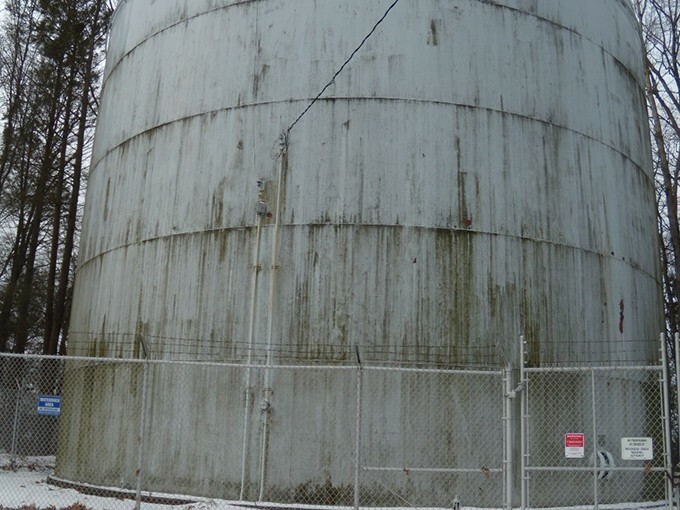 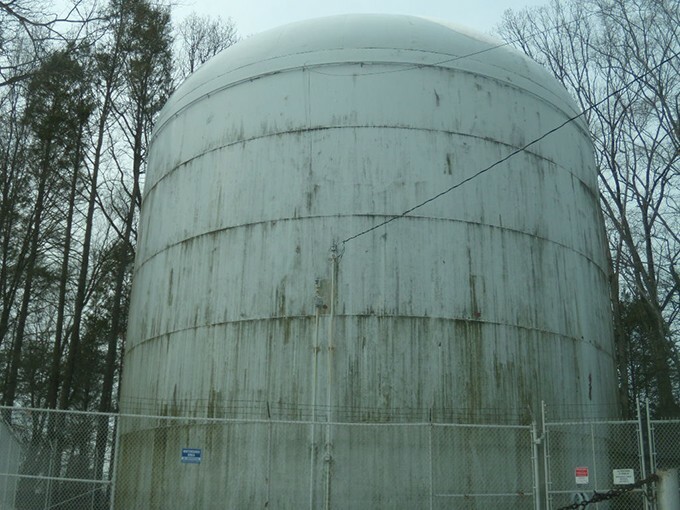 The exterior surface of this tank had presence of lead in excess of EPA requirements and was removed and properly disposed of. 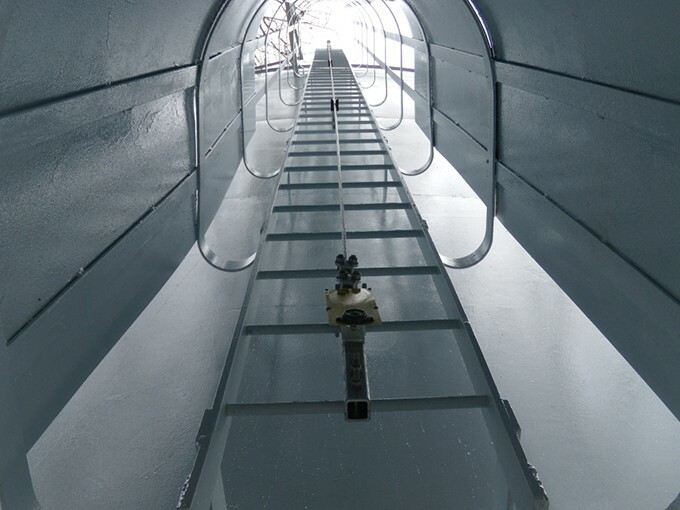 In addition to the painting, miscellaneous improvements were made to this tank including replacement of existing roof vent, installation of air gap in overflow piping, installation of safety-climb device on exterior ladder, removal of the tank shell roll-around roof ladder, installation of a stationary ladder with walkway, installation of safety-climb device on stationary tank ladder with hand rail, toe plate and safety chain, and repairing any pitting areas in the tank bottom.